A powerful electric chainsaw that cuts its way through thick and thin. The powerful motor of the EKS model is arranged in the classic way at right angles to the guide bar (crossline). 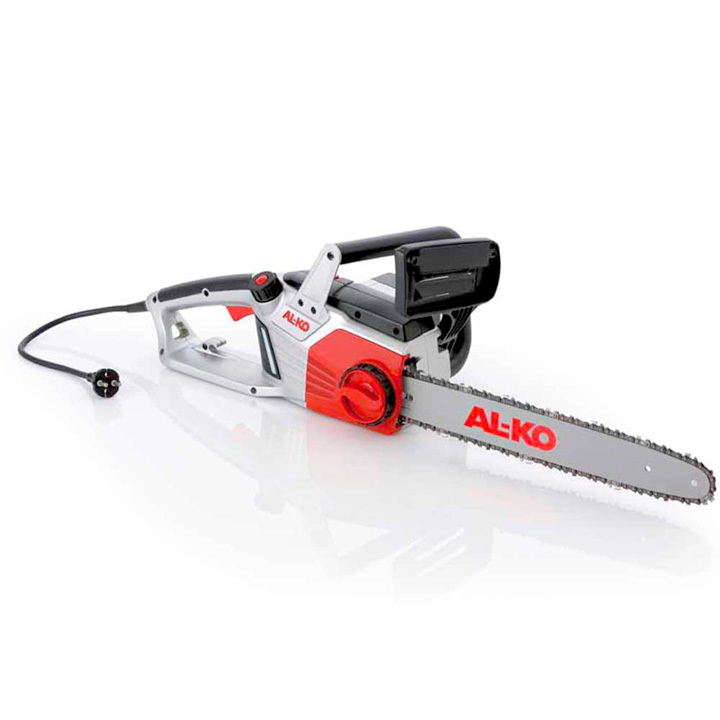 This offers the advantages in terms of weight distribution, thus allowing sawing without fatigue even when working over long periods. 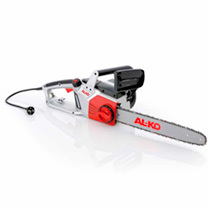 A tidy result in their design, AL-KO electric chain saws not only offer a perfect look, but also feature powerful motors and original Oregon guide bars and chains for high-performance cutting and long durability. 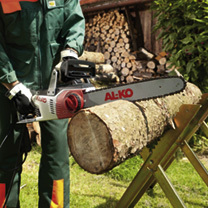 Automatic chain lubrication and the viewing window on the oil tank make maintenance easier. The quick-tension chain wheel enables the chain to be tightened and set without tools - this means even the chain and guide bar can be changed quickly. The chain brake and hand protection bar with quick chain stop offer the highest level of safety in every situation - for peace of mind and safe working.